Pigeon Forge, TN -- In a video message released this evening, Dolly Parton announced a new effort by The Dollywood Company and The Dollywood Foundation to establish a fund to assist the victims of the Great Smoky Mountain wildfires in Tennessee. The new My People Fund will provide $1000 each month to Sevier County families who lost their homes. Dollywood will hold auditions for music and variety shows for the park's 2016 season in January and February. Auditions will take place in Pigeon Forge, Jan. 23-24, in Atlanta, Jan. 9, and in Spartaburg, S.C., on Feb. 20. Dollywood, winner of seven Golden Ticket Awards for Best Shows needs world-class performers! Learn more about their upcoming open call auditions, and perhaps you can join the award-winning entertainment team at Dolly Parton's Dollywood in the Great Smoky Mountains. Please check the audition dates and times at this link. Pigeon Forge, TN -- Dollywood’s Barbeque & Bluegrass (May 23-June 7) helps kick off summer with a stellar lineup of bluegrass superstars and a mouth-watering menu of the finest barbeque available anywhere! Rhonda Vincent & The Rage, The Earls of Leicester and J.D. 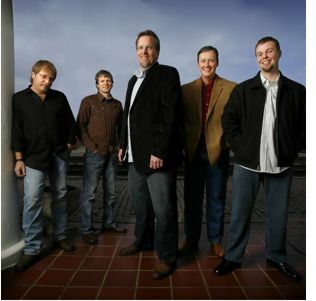 Crowe & The New South are just a small selection of the talented bluegrass pickers taking to the stage during this family-favorite festival. Pigeon Forge, TN -- Dolly Parton today announced Dollywood’s 30 Days of Thanks, a month-long celebration designed to recognize the award-winning park’s loyal guests for helping create cherished family memories for 30 years. Pigeon Forge, TN -- Every season brings a completely new experience for Dollywood guests, and the park’s 30th anniversary celebration provides six spectacular festivals and a number of surprises to delight visitors in 2015. From amazing stage shows and award-winning roller coasters to a nightly summer fireworks display and the seven-time winner for Best Christmas Event, guests can enjoy seasons of fun at Dollywood! See the Smokies' most spectacular light display and a lineup of live Christmas shows that celebrate the true meaning of Christmas, all at Dollywood. 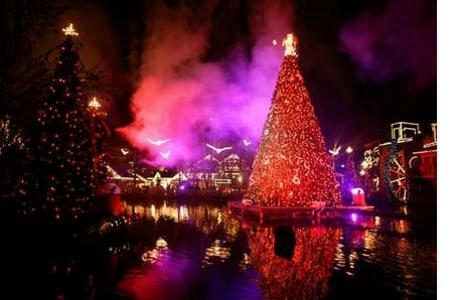 Dollywood's Smoky Mountain Christmas began November 5 and runs through Decemmber 30th. Pigeon Forge, TN -- With more than 300 free concerts and bountiful barbecue offerings, Dollywood’s Barbecue & Bluegrass festival makes a triumphant return Aug. 19 through Sept. 5. After a two-year hiatus, Dollywood announced today that the park's popular Barbecue & Bluegrass festival returns for the 2011 season. "I'm a huge bluegrass music fan, that's for sure, and the more I talked to folks, the more I heard how much they wanted my Barbecue & Bluegrass festival at Dollywood - both the music and the delicious barbecue," Dolly Parton said. "So, I'm bringing it back and better than ever! Ricky Skaggs & Kentucky Thunder will get things started, and I've got some other big names to tell you about later!"